Claire has played lacrosse for 10 years, and also grew up playing soccer and running track, in addition to lacrosse. Claire is excited to return to competition and isn't shy about stating that her goal for the season is to win the National Tournament. Claire earned a solid role in the midfield last season and hopes to continue where she left off last year. With a strong background in defense, great stick skills with both hands, and improved fitness this year, Claire is a perfect fit for the midfield and will look to contribute at both ends of the field. Economics Major. 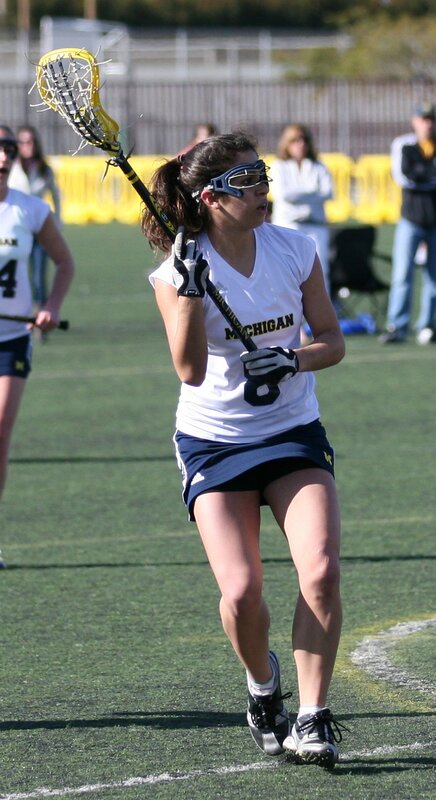 In addition to playing Lacrosse Claire is also active in the Sigma Kappa Sorority and Michigan Economics Society. Claire is also on the Student Athlete Advisory Committee.